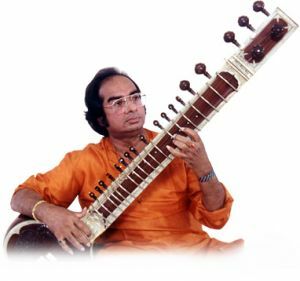 Ananda was the great modernizer of Indian music, as influential as Mighty Sparrow and Kui Lee were in updating and promoting their respective traditions. He won the Indian equivalent of a Grammy Award for the score of "Chorus" in 1974. Other soundtracks featuring his work may have been released in India. Throughout his career, his sound remained fairly consistent, and his vision never flagged until his untimely death. Yet India and the world still have not completely caught on to his talent and significance. Ananda Shankar & his Music became legendary in the 1990s simply because Capitol picked "Streets of Calcutta" and "Dancing Drums" for a Blue Note break-beat compilation. But there is plenty more material of the same caliber, even on that album. Later, rarer albums yield even more impressive music, and there are plenty of tracks waiting to be discovered and played by adventurous DJs. Sa-Re-Ga Machan, a funky, strange, and exotic madhouse ("Jungle King" even reprises "Streets of Calcutta" a bit), may be the true masterpiece. The beat of the tabla is as vital to Indian music as the conga to African and Latin. While the Moog, sitar, and Western themes distinguish Shankar's music as fresh and original, the cacaphony of tabla beats grounds the music in simmering Bombay, timeless ragas, and the splendor of Shankar musical royalty. In other places, such as the Missing You tribute to Uday, Ananda uses vibes and flute to great effect. And still elsewhere the elements of Indian soundtracks, such as occasional female voice and strings, add power and excitement. Call it futuristic exoticism or Indian soul music. Like other examples of the best revolutionary music, the wonders of Ananda Shankar will sound forever ahead of their time: definitely far out, and yet as familiar and comforting as Mom's cooking.